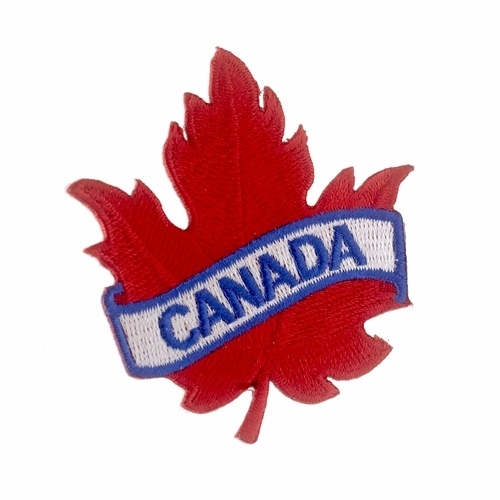 High-quality Canada Maple leaf patch with name swatch. Size: 2 1/4" x 2 3/4" (6 x 7 cm). Can be ironed on or sewn to most materials. 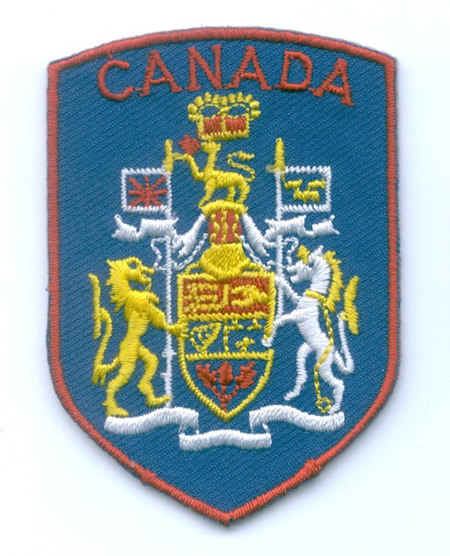 High-quality official Canada Coat of Arms/Shield crest/patch. Size: 2 x 2.75" (5 x 7 cm). Can be ironed on or sewn to most materials. 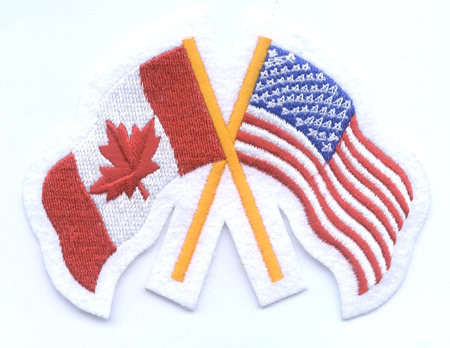 Canada & United States Friendship Flag Patch 3.25" x 4.25"
Small high-quality Canada flag patch/badge/crest. Size: 1" x 2" (2.5 x 5 cm). Can be ironed or sewn to most materials. 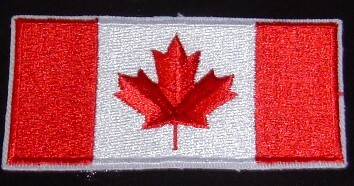 Medium high-quality Canada flag patch/badge/crest. Size: 1.5" x 3" (4 x 8 cm). Can be ironed or sewn to most materials. 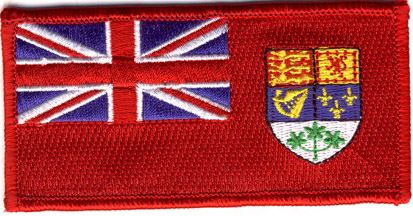 Large high-quality Canada flag patch/badge/crest. Size: 2" x 4" (5 x 10 cm). Can be ironed or sewn to most materials. 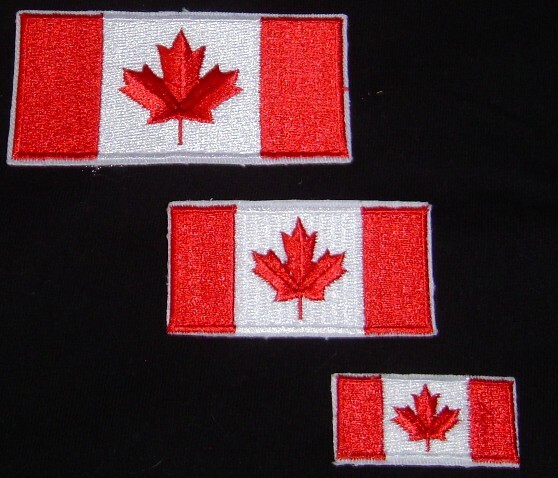 Extra large high-quality Canada flag patch/badge/crest. Size: 3" x 6" (8 x 16 cm). 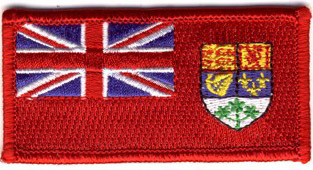 Can be ironed or sewn to most materials.